Action adventure survival horror set in Antarctica. They are already here, entombed beneath Antarctic ice for thousands of years. The ice is melting and soon they will be free. When environmental scientists enter the ice rift to check out an anomaly on NASA’s satellite scans of the area, they discover something far more life threatening than the raging blizzard trapping them in the rift. They are unarmed and unprepared for their ensuing fight for survival. They say that you shouldn’t judge a book by it’s cover but OMG with this one you should. The cover is stunning and the story inside is one of the best SciFi horror books that I have had the pleasure to read. For me it has been a cross between The Thing a 1982 film (which was being watched by some of the station’s crew, nice touch) and The Hunger Games, without the games but the most weird and wonderful creatures but much more too, bigger and much more vicious. It all makes for a spectacular story. This is set way out in the Antarctic with a very specialised group of international scientists sent to investigate an anomaly in a rift in the ice. There isn’t a lot of people in this story so you really get to know all about each of them. The doers, the followers, the heros and the idiots no matter how well qualified they are. And they are all geeks, thinkers rather than all muscle and fight. 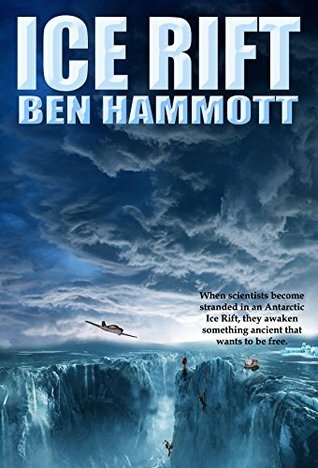 Ben Hammott has a wonderful imagination that he shares with his readers, very highly descriptive which is a must in any book like this as you don’t have anything to compare it to. His creatures I found in many cases, deadly, wickedly gruesome and very original. Quite often in a book you get the good start that grabs your attention, the lull and then a gripping end, but not in this book. Oh no! You get the grab your attention at the start but it just doesn’t let up, you are on constant alert because it is so full of action all of the way, right to the end. And what an end it is! This would make an absolute mint movie. 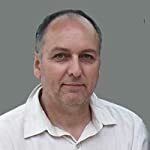 I wish to thank Netgalley for the chance to read this novel in exchange for an honest review.